Can I accept orders via Gift Up! for post delivery? NOTE: We do not print or post the orders for you. 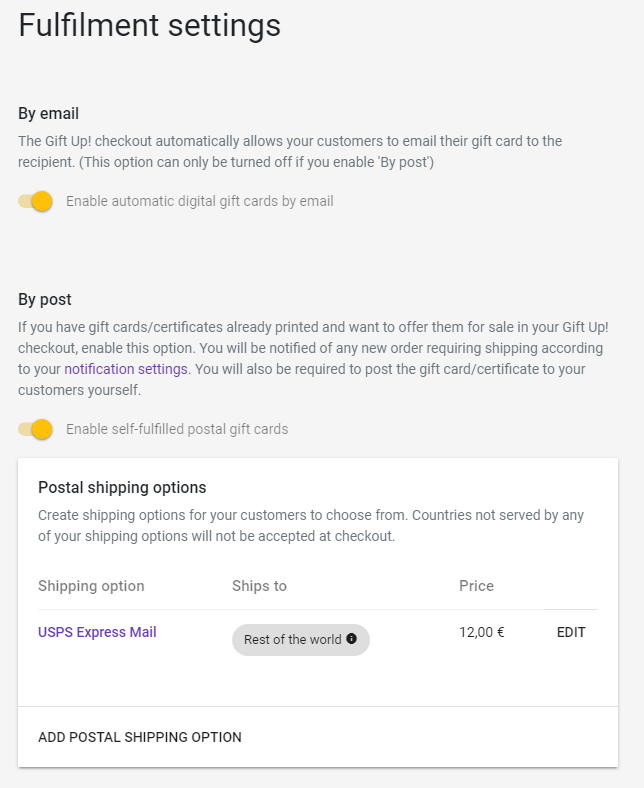 You need to either print off the digital gift card via the dashboard, or have already pre-printed some blank gift cards/certificates that you can fill in the customer's details and the generated gift card code we provide. When a gift card gets sold by post, we'll send you an email that contains, amongst other things, the name and address of the recipient and a gift card code to write on your pre-printed gift card/certificate. If you do not have anything physical already printed, you can just print off the gift card from our dashboard! 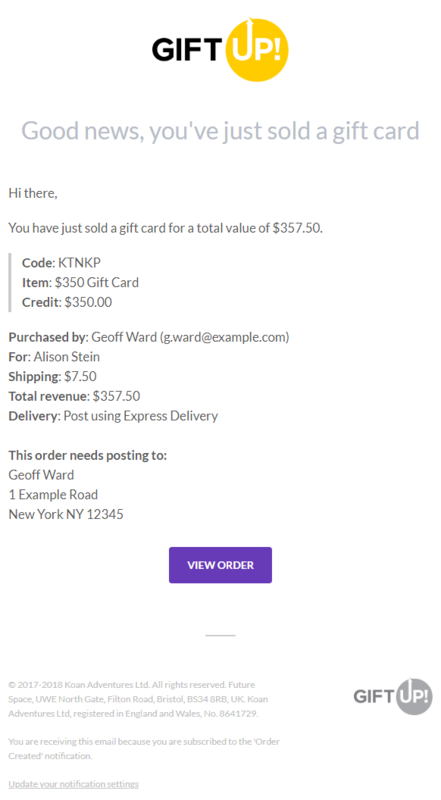 Once you've done this you can add shipping options for your customers to choose from. 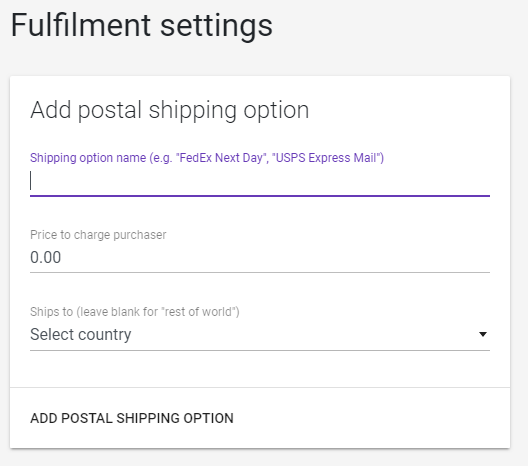 You can specify which country (or countries) your shipping option serves, and at what cost.